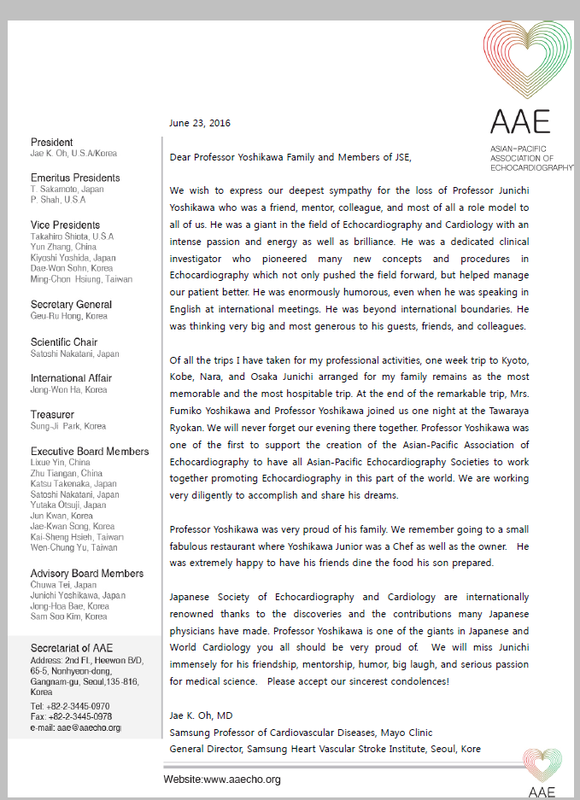 On behalf of Korean Society of Echocardiography, I am very sorry to hear that Professor Yoshikawa passed away. It must be a huge loss in the field of Echocardiography in the world as well as in Japan. He was one of the best contributor for the progression of Echocardiography. Also, he was a best friend and teacher for KSE members for a long time. KSE will never forget his contribution to our society. Any words could not express how saddened we are to hear of his loss. Please accept our sincere condolence.